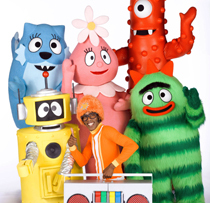 Part of DHX's plan, post-purchase, is to expand its global efforts in merchandising former Cookie Jar programs, as well as its proprietary programs such as Yo Gabba Gabba! (pictured). 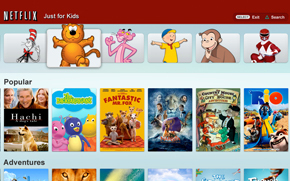 Halifax, Canada-based DHX Media’s acquisition of Cookie Jar Entertainment has been successfully completed. First announced in late August, the deal saw DHX take on Cookie Jar’s approximately 6,000 half-hour episodes of animated kids programming. Including the 2,550 half-hour episodes of kids shows it already possessed, DHX has emerged as holder of the largest independent library of children’s programming in the world. 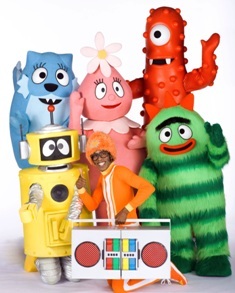 DHX’s proprietary shows include Yo Gabba Gabba! (pictured), the international property and licensing rights to which the company took back from Zodiak Rights in September. In a statement, DHX said one of its goals of the Cookie Jar purchase was to expand its global merchandising efforts for all the properties it owns. One of the other expected benefits of the deal was scaling; with the addition of Cookie Jar’s approximately US$57 million in annual revenue (based on the company’s unaudited financial results, for the 12-month period ended May 31, 2012) DHX’s total combined trailing 12-month revenue totals approximately US$127.5 million. The Cookie Jar takeover follows more consolidation in kids entertainment, as Mattel officially acquired HIT Entertainment in January and DreamWorks bought Classic Media last month. Cookie Jar, DHX Media, Yo Gabba Gabba!